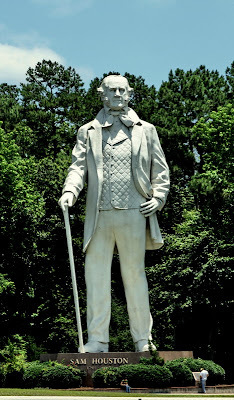 Here's a picture of the huge statue of Sam Houston. It sits on a 10 foot platform. There are some people near the bottom to give you an idea of how big this thing really is. It was designed and build by David Adickes. You can follow the link above to read more about it.